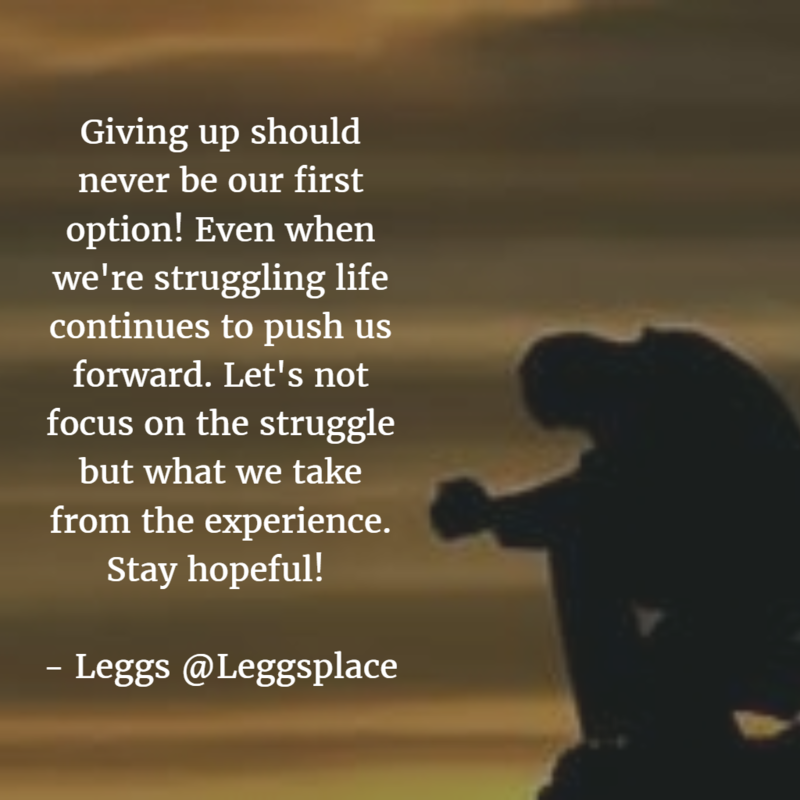 Giving up should never be our first option! Even when we’re struggling life continues to push us forward. Let’s not focus on the struggle but what we take from the experience. Stay hopeful!